VW started its European recall with the Amarok, shown. FRANKFURT (Bloomberg) -- Volkswagen said its European diesel-car recall is on track, with the first 4,300 of some 2.4 million affected vehicles in Germany fixed in the past three weeks. 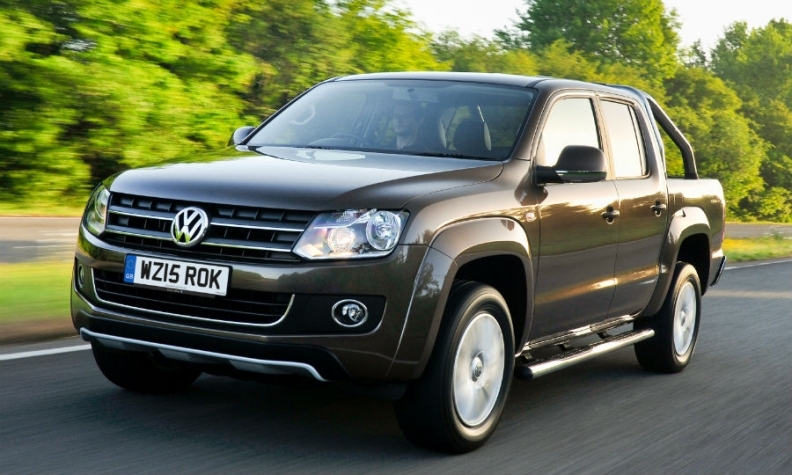 The carmaker has repaired about half the affected Amarok pickup trucks with 2.0-liter engines in its home market. VW started the recall with the Amarok late last month; next up in late March is the Passat sedan and station wagon. The cars now comply with the Euro 5 emissions limit, Volkswagen said in a statement Thursday. The German recall will serve as a blueprint for repairing engines with rigged emissions software all over Europe. Over the next few months, fixes will be extended to vehicles with 1.2- and 1.6-liter engines, the carmaker said. Though the recall of some 8.5 million cars in Europe is progressing, talks with U.S. regulators over some 600,000 vehicles are dragging on. Volkswagen’s proposals have been rejected so far, and the time frame for a solution is unclear. The German automaker is facing billions of dollars in regulatory fines and costs for lawsuits on top of expenses for fixing manipulated cars in the U.S. or buying them back from customers. In Europe, all three affected engine variants require a software update, which VW says takes less than 30 minutes per car to complete. The 1.6-liter version also needs a hardware fix, a new part fitted to the intake duct that’s supposed to change air flow so the engine’s filters work better. Adding the part should result in a repair time of less than than 45 minutes, according to Volkswagen. The 2.0-liter engines account for about 5.2 million of Volkswagen’s rigged European diesels, compared with 3 million 1.6-liter engines and about 300,000 of the smallest 1.2-liter motors.